PUBG Mobile is one of the most popular mobile game right now. Millions of gamers spent hours in playing this battle Royal game on their smartphones. But not all people are comfortable in playing games on small screens. There are also few people who think that playing a game is better with mouse and keyboards. 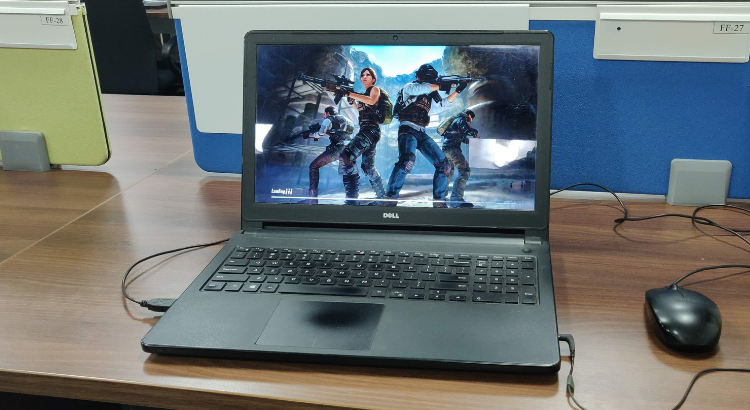 If you are also one of those games who want to play PUBG mobile on your PC or Laptop, you are at the right place. In this article, I will tell you how you can play the PUBG Mobile on your laptop or PC. As PUBG Mobile is a mobile game, you cannot directly install it on your system to play. There are several Emulators that allow you run Android apps on your PC. These Emulators help in this case. There are several good Android Emulators to try. But Tencent, the company behind PUBG Mobile, also launched an Emulator for PC to run PUBG Mobile. Tencent Gaming Buddy is the official PUBG Mobile emulator that allows users run PUBG Mobile on their PC and battle on PUBG Maps. PUBG Mobile emulator is a decimated emulator for PUBG Mobile and is it optimised to run the game smoothly. All you need is to download the game from official Tencent Gaming Buddy website. Another notable thing is that Tencent Gaming Buddy is always up to date. So, all the latest updates that PUBG Mobile gets will also be available on PUBG you play on Tencent Gaming Buddy. After the installation of Tencent Gaming Buddy Emulator on your PC, it will take some time to download the PUBG Mobile game files. After the download is done, you can run the game. Here, you can either play as guest or login using Twitter or Facebook. If you want to get the game progress sync on PC and mobile, you need to connect your PUBG account either with your Twitter or Facebook. It is also worth to note that PUBG Mobile separates emulator players from mobile players. In this way, it keeps the matchmaking fair. So, you should take this into account. If you queues for squads or duos with a mobile player while playing on Emulator, you will be matches with other emulator players. Both PUBG Mobile and Tencent Gaming Buddy are the same game, but differ in experience. PUBG Mobile on smartphone gives mobile gaming experience but PUBG Mobile on Tencent Gaming Buddy offers desktop experience. As it automatically detects emulator players, you will be matched with mouse-and-keyboard using players. So, you need higher skill to compete while playing on Tencent Gaming Buddy. Tencent Gaming Buddy is the best way to play the PUBG Mobile on PC. There are numbers of other emulators you can try but Tencent Gaming Buddy is official way and it has been optimised to run the game properly. It offers smooth gaming performance. So, download it now and start competing on PUBG Battle ground.